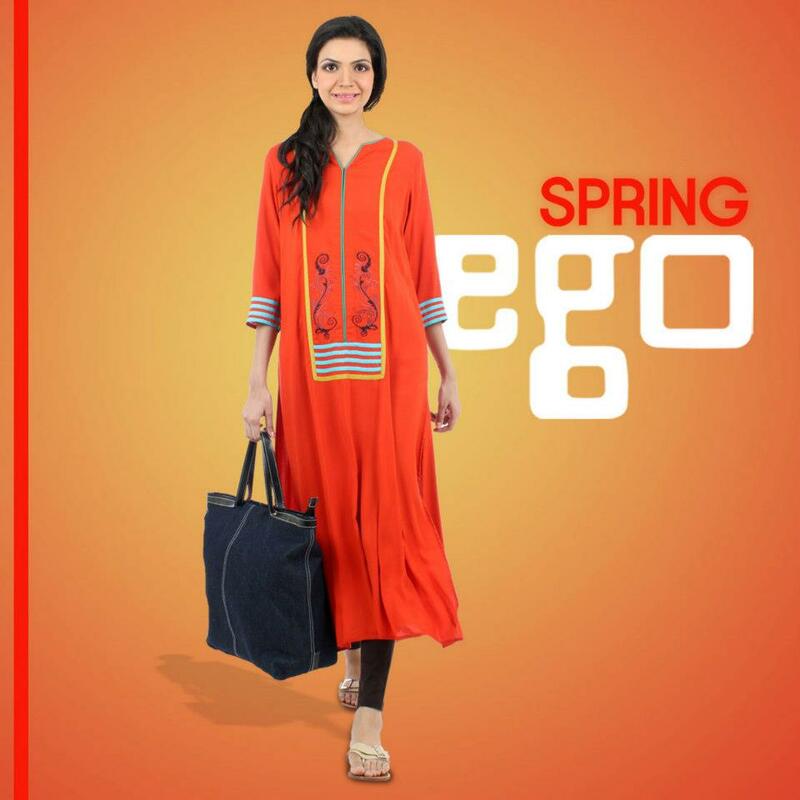 EGO Latest Dresses Collection 2013 For Women is one of the most popular fashion brand in Pakistan. 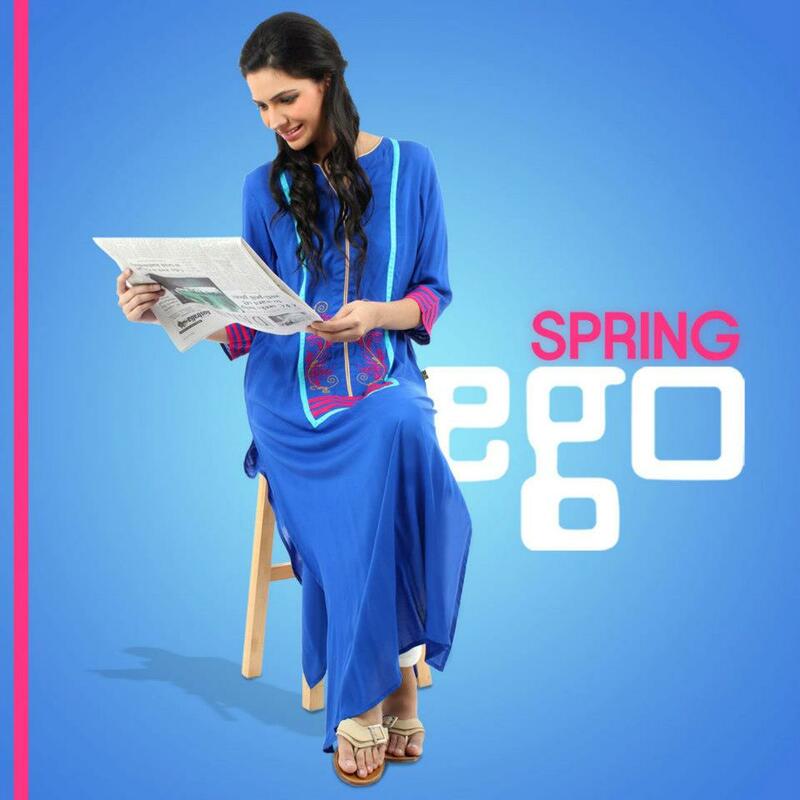 Ego’s aim is to introduce trendy clothes for young and independant women. Their experienced team of designers played a big role to take them at the peek. They have introduced casual wear shirts and churidar pajamas or trousers with them, Some of the shirts are also paired with tights. Ego Latest Spring Collection is very nicely decorated with light embroidery on back and front.